The Independent reports, "One user of Japanese forum 2ch described it as'pudgy and cute', with another saying it is 'out of shape' and a third noting it has a neck 'like an American football athlete's'. All of this was news to Ken Watanabe and Aaron Taylor-Johnson who both responded with surprise you can read the responses below. 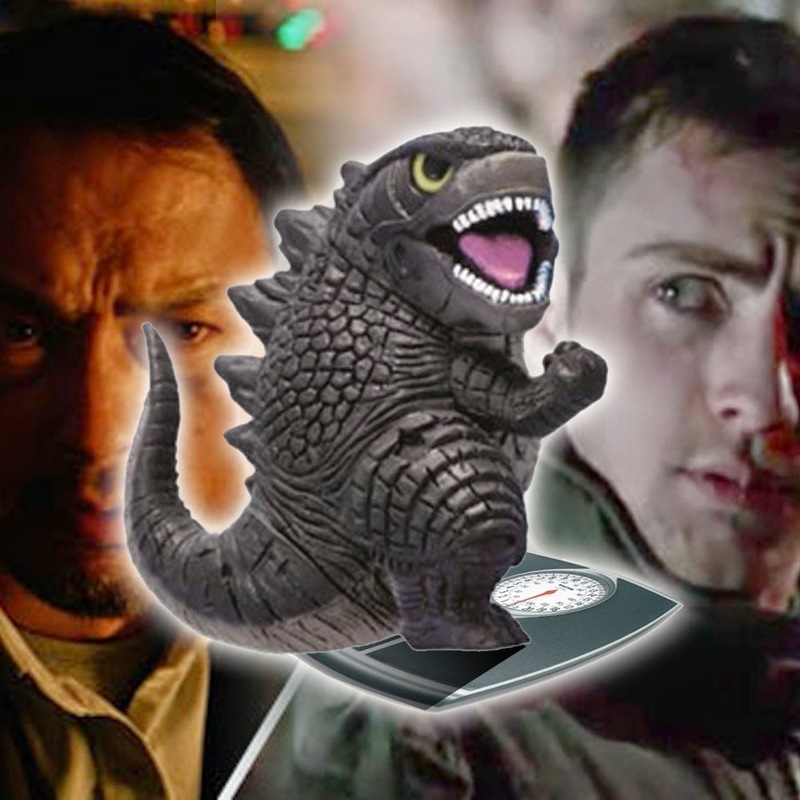 Cinema Blend: Japan has had a response to our new version of Godzilla. They are calling him an American fatty. Ken Watanabe: No way! I don't think so. Not really! CB: It's been on Twitter. They are saying he's gotten fat on cola and pizza. (Watanabe laughs.) What are your thoughts on Godzilla? Is he an American fatty now? KW: No. He doesn't drink Diet Coke. But no. No way. CB: He shouldn't be ashamed of his body? KW: No. No! He's just all (he flexes his shoulders into a muscular hunch and sneers comically, which I took to mean "he's brawny"). I like that. (Scoffs) Please." Cinema Blend: Japan's calling him "an American fatty." CB: Yeah, they said that in this version, he "got fat in America on cola and pizza," "he's SuperSized," [and] "he is couch potato Godzilla." Aaron Taylor-Johnson continued with, "...That's good in a way. Let them have low expectations. It's always nice that way, to go into a movie and be surprised the other way around, you know?" As far as Everything Kaiju is concerned? We have no doubt that this new Godzilla design will be nothing less than spectacular. Godzilla '90's. That is all. Hey Logan--90's Iguana-be 'Godzilla' sucked more than a vacuum on reverse. Tri-Star BLEW IT. You obviously know squat about the real thing.This is the TRUE Godzilla once again-thank you Gareth and Warner Bros.! He's a more muscular not fat Godzilla, Japan as wonderful as it can be, isn't known for weigh lifters and tend to stay twiggy. This godzilla has a more pronounced lifters neck and size, not a fatty. The old Godzilla's (and I am a big fan from the original days) actually was fat in the waist and thin up top, with a TOHO beer belly look.